about this book: Forced to choose between cultivating a satisfying life for himself and rescuing his dysfunctional family members from their certain demise causes Markus Nussbaum to question the importance of family. Having put an embittered past behind him, Markus builds a successful landscaping business with clientele from the affluent suburbs of Chicago and starts to appreciate the finer things in life—and he's found the perfect woman to share in it. But when his alcoholic sister and her two young sons enter into the picture, Markus falls victim to their helplessness and temporarily puts his own life on hold. 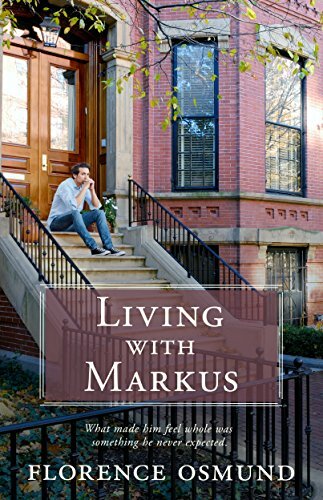 And when his despondent father is added to the mix, it doesn't take long for Markus to regret losing sight of his own dreams—and his girlfriend. Does Markus save his relatives from their ill-fated lives, or save himself from entering into a life of self-sacrifice and missed opportunities? Painful soul-searching and late-night talks with the captivating tenant downstairs guide him to an unexpected decision.